For many years drivers, engine tuners have known about the power of high alcohol fuels. . The have been using the excellent cooling properties, high octane en vaporization rates to run their engines at peak performance. High alcohol fuel therefore permits tuning optimised ignition timing and increases the power generated. 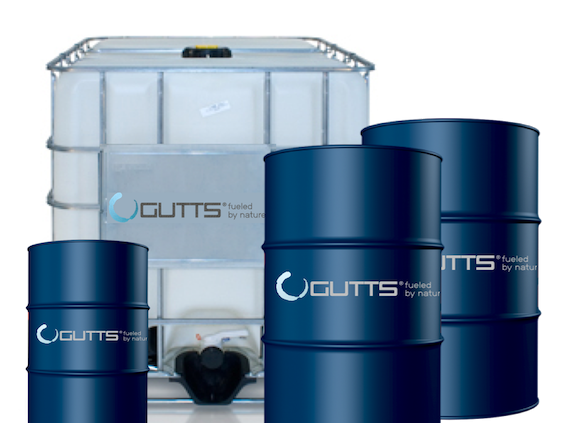 After years of experience with high alcohol fuel in various championships, GUTTS now presents a very high quality, consistent and affordable E85R performance fuel. Produced with the best quality component and additives, it sports some highly desirable characteristics; high engine efficiency and power output and high CO2 reduction from (ISCC Certified) sustainable feedstock. E85R provides optimal resistance against knocking and superlative fuel reactivity due to its exceptional RON and sensitivity. Our E85R is one of the best performing E85’s on the market today, sporting a 110 RON and 105 MON number plus a heating value 14560 BtU/Pnd. We supply E85R in drums of 60L, 200L en 1000L and deliver the fuel across the Benelux. Please find your options below and remember that the price per liter is lower the more fuel you order.